ShingleVent II Class A - Air Vent, Inc. There are two great things about Air Vent's 7-inch and 9-inch ShingleVent II Class A shingle-over ridge vents: they're fire rated for Class A roof decks and they still have the advanced design of other Air Vent ridge vents including the external baffle and internal weather filter for superior airflow performance and weather protection. ShingleVent II Class A ridge vent installs on the peak of the roof allowing exhaust ventilation all along the roofline -- end-to-end. They're fire rated for Class A roof decks. They still have the advanced design of other Air Vent ridge vents including the external baffle and internal weather filter for superior airflow performance and weather rotection. 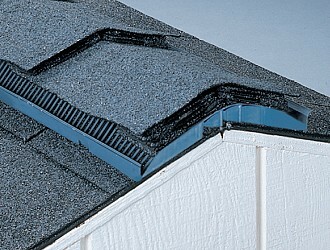 For enhanced ridge cap shingles, cedar shake, cedar shingle and tile applications. 16 square inches of net free area per linear foot. Built-in external baffle deflects wind up and over the ridge enhancing airflow performance. Internal weather filter provides protection against weather and insect infiltration. Less than 7/8 inches tall on the ridge making them virtually invisible from the ground. Class A fire rated. Rated for Class A roof decks in accordance with UL standards for ICC approval. 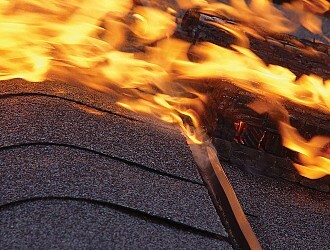 They are the only externally baffled Class A fire-rated shingle-over ridge vents available. Exceptional airflow. Built-in external baffle deflects wind up and over the redge, enhancing airflow performance. ShingleVent II Class A provides 16 square inches of net free area per linear foot. Easy Installation. The vent is pre-formed to a 4/12 pitch, and fits pitches from 3/12 to 12/12. Virtually invisible. Less than 7/8 inches tall on the ridge makes them virtually invisible from the ground. 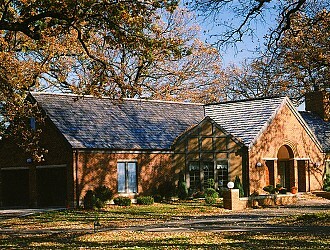 The same features as ShingleVent II, except that ShingleVent II-9A is 9" wide so that it can be used with cedar shakes or enhanced ridge cap shingles. Available in Charcoal. 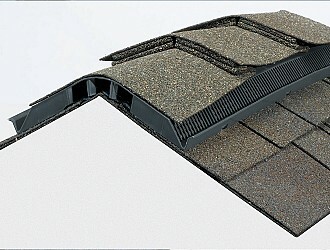 ShingleVent II-7A is 7" wide for use with narrow, enhanced ridge cap shingles. Available in Charcoal.